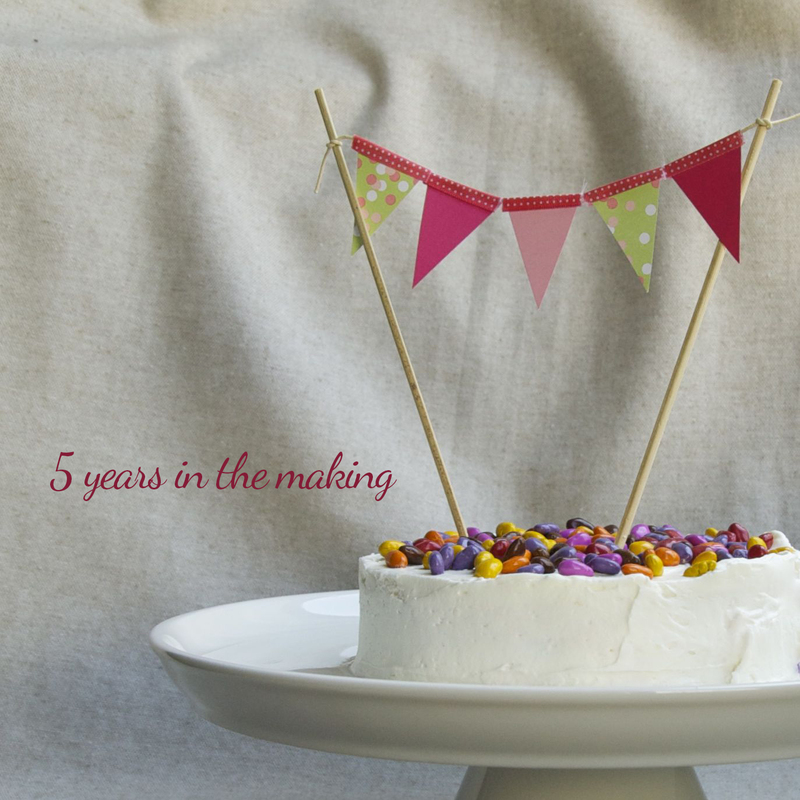 5 years ago I started this blog and it's come a long way. And only now, do I feel like is it just beginning. Is that odd to think? I guess it is only til now that I can devote more time into it and create posts the way I want to. I feel myself investing as much time putting together the posts as making the things I'm writing about. This is the first time I've made a birthday cake for my blog. Yup, only after 5 years. And what a cake I chose, the photograph doesn't do it any justice. The recipe is inspired by all those Chinese bakery sponge cakes I've eaten growing up. I wanted to eat the whole cake after my first bite. This recipe makes a perfect little cake for 2-4 people to share. Whisk together egg yolks and 1 tbsp sugar. Add the oil and whisk until combined. Then add the yogurt and strawberry extract. Whisk until combined. Mix in cake flour until combined but be careful not to overmix. Set batter aside. In a clean dry bowl, beat the egg whites with a handheld mixer on low speed until frothy and foamy. Gradually add half the sugar and beat until combined. Then beat in the rest of the sugar until the egg whites come to a soft peak. The soft peak stage is reached when the peaks of the whites curl and droop slightly. The mixture should appear smooth and glossy. With a spatula, gently fold in the egg white mixture into the egg yolk mixture in 3 additions. Pour the batter into a 6 inch cake pan. Bake for 20 minutes or until a toothpick inserted into the center comes out clean. Allow to cool completely before assembling. For the frosting: put the cold water in a microwavable bowl and sprinkle the gelatin over. Microwave for 10 seconds. Set the mixture aside to allow to cool. In a mixing bowl, beat together the whipping cream, sugar, and extract with a hand-held mixer. When the mixture starts to thicken, add the gelatin mixture. Turn the hand-held mixer to high and whip the mixture is stiff. To assemble the cake: using a serrated knife, cut the cake horizontally in half. Place one half of the cake on a serving plate or cake stand. Spread a thin layer of frosting over the first half and arrange the sliced strawberries over it. Spread an additional layer of frosting over the strawberries. Place the other half of the cake over the strawberries and frosting. Then frost the sides and top of the cake. Decorate the cake with fresh strawberries or sprinkles.